Website with free coloring pages in high quality! What does "high quality" mean? The most images are available in resolution of min. 730x973 px. in high quality PNG-format. You can open, edit and print there in all popular graphic and office software. What does "free coloring pages" mean? There are really free of charge? All images on this website are free for using in non-commercial projects (For example: private issues like birthdays, greeting cards, non-commercial web sites, printed documents, sheets for lessons in non-commercial schools and play schools). Any kind of use with the intention for profit, such as: advertising projects, graphic design agencies or stock sites, web media with the e-commerce character, private lessons or lessons in private schools etc. How do I use coloring pages in non-commercial projects on the right way? If you want to use our coloring pages in print media, you have to set a reference / footnote to www.coloringpagesfree.net or to www.clipproject.info near each graphic. 1. You may use maximal up to 5 graphics per domain. 2. You have to set an active link to our website. Using of the attribute rel = "nofollow" is not allowed. I want to use your coloring pages in commercial projects. How can I do it? If you are interested for commercial use, please send to us an request with detailed description of your project (purposes, kind of medium, number of copies, distribution area etc.) via e-mail. The e-mail you will find in the rubric "Imprint". Than we will send to you our offer. 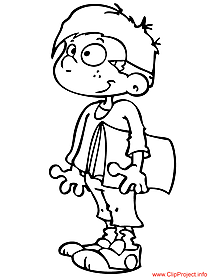 All coloring pages are available in high resolution as bitmap images and as unlimited scalable vector files. How much does it cost to use the coloring pages? Costs start at 2 EUR / image for a single use and vary depending on the extent of use. 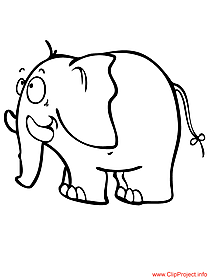 We wish you a lot of fun with our coloring pages!